It's almost impossible to get excited for anything in the cruiserweight division since Neville left. Enzo Amore works in the role he's been given and it'll be fun to see him dethroned. However, we've already seen Kalisto beat him, only to lose it right back. The outcome of this match means nothing to me. Enzo retains and eventually drops it to someone more interesting. This should be fantastic. The Shield was the best thing in WWE from 2013-2014. New Day was arguably the best thing in WWE in 2015-2016. For most of 2017, they didn't do anything of note. Then, the Usos feud happened and rejuvenated them. The returning Shield are probably looking to put on one hell of a performance, while New Day is on quite the roll. That should make for one of the more exciting matches in recent memory. It's going to be a magnificent battle, but a predictable result. The Shield will win because losing this quickly into their return is kind of damaging, while New Day won't be hurt by it. In a year with the Revival on the shelf, these have been the two best main roster tag teams. I'd even go as far to say the Usos have been the best tag team in all of wrestling this year (Authors of Pain and British Strong Style are in the conversation). These teams were the final two in the giant Survivor Series match last year and it was a lot of fun. With both units being heel, it could cause problems, but the Usos have kind of been rolling as tweeners and I think the fans will get behind them. 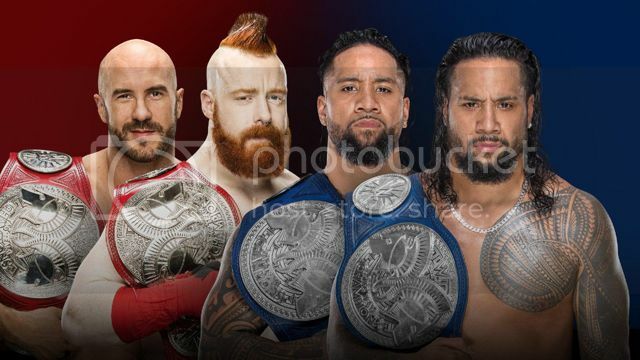 This could honestly go either way, but I'm gonna pick the Usos for the Smackdown victory. Is the world going to implode? It's Alexa Bliss, who continually wins major feuds, where the babyfaces come off looking bad against LADY BIG DOG. It's tough to see either woman losing because of how they're typically booked. If anyone could run through Alexa and come out looking strong, it's Charlotte. I fully expect her to win for Smackdown here, being the only one allowed to come out on top against Alexa. At least, until Asuka. This is one of those matches where I like both guys, but can't get excited about the pairing. They're just not ideal opponents for one another. Corbin is at his best when he's the bully heel, but Miz's one weaknessis playing some kind of sympathetic babyface. The promo stuff has been fun, at least. Normally, I'd pick Miz to win here, but I'm thinking Raw wins the entire show 4-3. I have them winning four matches in my head, so Smackdown will get this one. 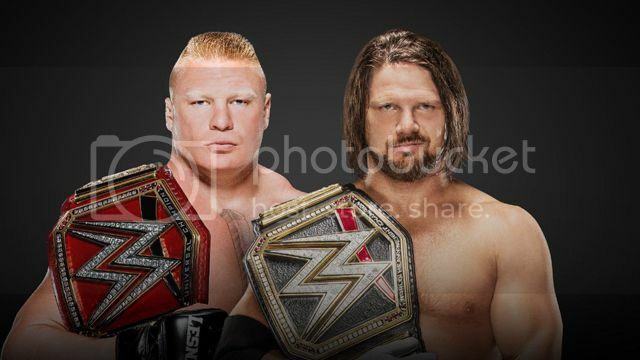 With Smackdown's final spot open, I want to say they win. Maybe Paige makes her return and having her lose here wouldn't be ideal. Plus, I'm always gonna want to pick a team captained by the great Becky Lynch or one led by Alicia Fox. The difference is Asuka. Sure, last year the unbeaten Nia Jax tapped out in a Survivor Series match, but having both Asuka and Nia lose would be strange booking. For that reason, and the possibility that Natalya is the fifth member and not Paige, I'm gonna pick Raw. Asuka and Nia being the most likely survivors and Bayley being the most likely to get eliminated like a jobber. Last year's Raw vs. Smackdown match was all kinds of awesome. This one probably won't be as good, but I'd be happy to be wrong. Team Cena vs. Team Authority back in 2014 had no right to be as good as it turned out to be, and this looks much better than that on paper. Shane is gonna try to kill himself, as always, while Triple H and Kurt Angle will put on their best efforts. Orton is usually at his best in Survivor Series matches, while guys like Cena, Finn, Joe and Braun are going to give us fun combinations. I'm thinking Raw wins because of Kevin Owens and Sami Zayn. With them not being booked, but being in a key storyline, I'm gonna say they interfere to cost Smackdown the match. Their selfishness will most likely set up some kind of tag against Shane and someone at the next PPV. Part of me could see Angle and HHH costing themselves the match, but I think there will be a slower burn for the expected Mania match. Putting the title on AJ Styles was one of the best moves WWE did all year. Even if AJ had a lackluster summer, he's still the best the company has. I'd love if AJ Styles were to win this match. But it's Brock Lesnar and Aj's name is not Roman Reigns. Nobody's beating Brock until Reigns eventually does it. So, I'm going into this hoping for AJ to get the best out of Brock. I enjoyed Brock/Joe, though it could've been better. Even if Brock is bringing minimal effort to this match, Styles is good enough to get greatness out of him. That's what I'm expecting.